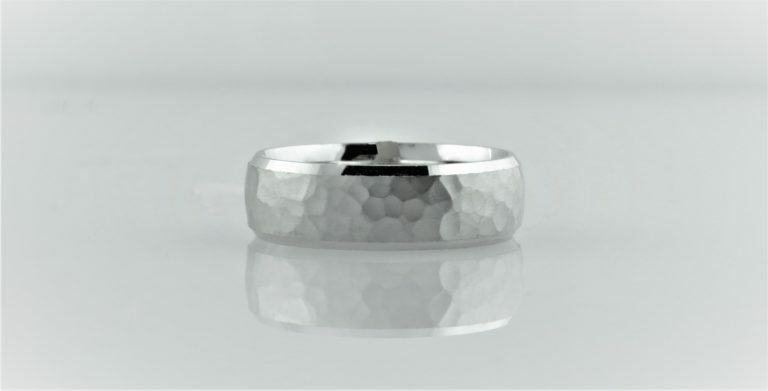 7mm wedding band with hammered satin finish. Size 10. Can be ordered in a polished finish. Available in different widths and finger sizes. Please contact us for prices.